What Is A Covered Call ETF? An exchange traded fund (ETF) is a marketable security that tracks an index, a commodity, bonds, or a basket of assets like an index fund. Covered Call ETF’s offer a lot of different benefits to the skilled investor. Learn more about how to use Covered Call ETFs as a part of a successful diverse trading portfolio. CoveredcallETFs.com is built to a be a gateway that offer an introduction to Covered Call ETF’s, how they work and which benefits they offer. 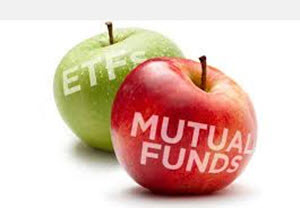 ETFs are a relatively new type of investments that give you the chance to use investment strategies previously only available to big hedge funds and investment banks due to the high cost associated with replicating these strategies. ETFs are now available to regular investors in the United States and Canada as well as as number of other countries. This offer small retail and institutional investors the chance to earn a good return on invested capital in slow moving or falling markets. Perfect Time To Buy Covered Call ETF’s? What Are Advisor Class ETF’s? What Happens When Options Are Exercised? What Influences Covered Call ETF Dividend Yields? Who Should Buy Covered Call ETF’s? Why are covered call ETF’s often called “Enhanced ETF’s”? Why use covered call ETF’s? Whether you should sell your ETFs or borrow money for the down payment of a house. Where to check the interest rates in local markets such as the UK and Sweden. If Covered call ETF:s are a good investment in your country. Local laws and tax regulations can have a huge impact on which investments you should make. An investment that is good if you live in Sweden or the UK can be horrible if you live in the US. An ETF is a type of fund that owns a specific type of assets. SPY is the worlds largest ETF. The fund buys the 500 stocks listed on the S&P500 index. The funds results mirror that of S&P500. A covered call ETF works in a similar way but put out Call options to increase the yield the fund gets each year. This increase the yield the fund gets when the market is going down or stands still but limits the upside in a bull market. Lets look at a possible example: An ETF fund buys 100 shares of Microsoft stock. These shares provide a dividend yield of 3.2%. A Covered Call ETF would increase this yield by putting out a sell option on these 100 shares. They then sell this call option for 1% of the share value. (The exact price they get for their call options can vary). This allows them to increase the yield from 3.2% to 4.2% completely risk free. The only downside is if the stock quickly increase in value during the maturity of the option. In this situation the ETF will be forced to sell their shares for a price below market value when the option is exercised. This limits the upside. The ETF will still make money but not as much as they would have made if they hadn’t put out the call option. This makes the Covered Call ETFs into an investment that is suitable for most market conditions except for bull markets where a covered call ETF might produce a lower return than regular ETFs and other funds. Should I borrow money to invest in ETF:s?